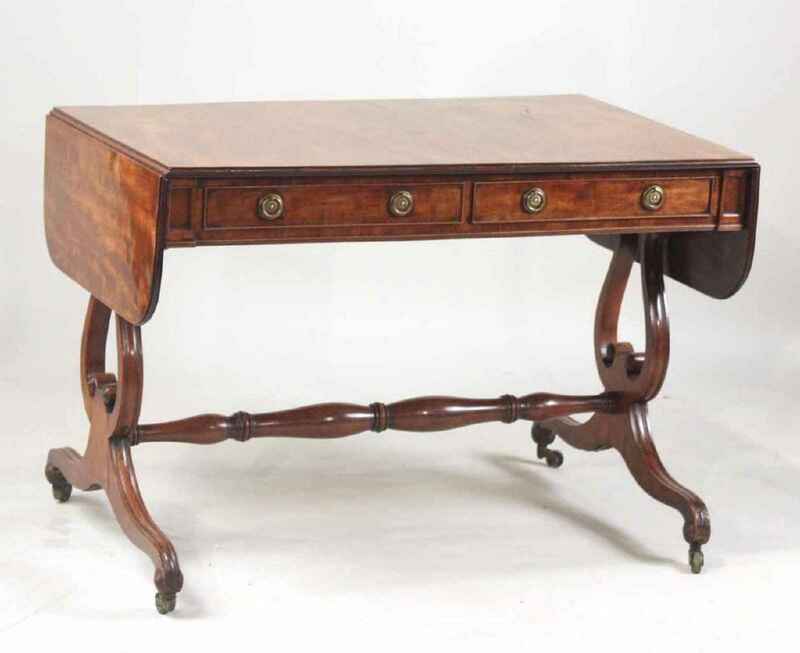 A fine quality Sheraton period sabicu and mahogany sofa table with two working drawers and two opposing sham drawers is supported on lyre shaped trestle ends joinded by a turned medial stretcher with scrolled, molded legs ending in distinctive original brass casters. The solid sabicu top with drop leaves has reeded edging. Some provenance available. English circa 1790/1800. Width with leaves down is 42".